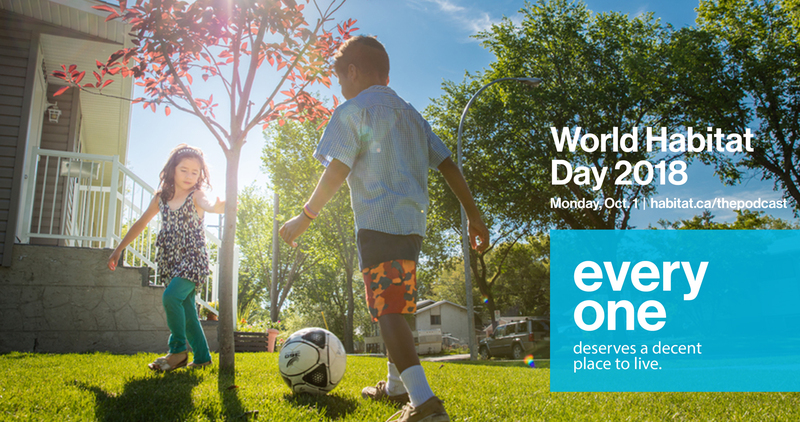 At Habitat for Humanity Mid-Vancouver Island we share a vision of a world where everyone has a decent place to live. On World Habitat Day, October 1st 2018, we want to thank our supporters, volunteers and donors who have made it possible for us to not only help 23 local families to date into affordable homeownership, but also to support the work of the Habitat Global mission across the world. Adequate housing and affordable homeownership plays an essential role in communities around the world, providing families with improved educational and employment opportunities and better overall health. Affordable homeownership can have a transformative impact. On average each Habitat Home built generates benefits to the local community of $175,000. These benefits come in the form of reduced reliance on social housing and food banks, better educational and employment outcomes and improved health. In our community, the homes we have built have resulted in over $5million in benefits. Of course, we would not have been able to build any of these homes, or be planning more for our communities, without the support of our volunteers and generous donations from our communities and local businesses. We want to take this opportunity to thank everyone who has worked with us, supported us with financial donations, gifts in—kind or their time, donated items to or shopped in our ReStore and helped to physically build our homes. A Habitat home is truly a community achievement. To mark World Habitat Day, Habitat Canada is launching a new podcast. The first broadcast will feature Jean-Yves Duclos, Minister of Families, Children and Social Development and Habitat Canada’s President and CEO, Mark Rodgers discussing housing as a basic human right.